For people living busy lives, proper nutrition often falls by the wayside, and when a person fails to follow proper nutritional guidelines, it can result in serious health problems. When a person experiences a health issue due to poor nutrition, one of the common solutions is to work with a holistic nutritionist. A holistic nutritionist is a credentialed nutrition professional that uses all natural methods to improve the health of their clients and help them follow recommended nutritional guidelines. However, like any advanced career, becoming a holistic nutritionist requires completing several important steps, including enrolling in a degree program. Read about the steps for becoming a holistic nutritionist and learn the employment and salary prospects for this exciting, rewarding career. When you work as a holistic nutritionist, you will be responsible for several important tasks that are meant to improve your client’s health. Most importantly, a holistic nutritionist will develop a meal plan for their clients that include all-natural food and certain supplements and vitamins. Meal plans developed by a holistic nutritionist can include items like proteins, fiber, fruits and vegetables. Holistic meal plans will never include foods that have been chemically or genetically altered. 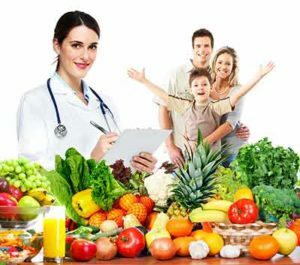 A holistic nutritionist will also educate their clients about proper nutrition and will inform them about how certain foods can prevent illness and boost health. Evaluating a client’s current health is also a common duty of a holistic nutritionist. There a several vital steps that you will need to complete before you will be able to begin your career as a holistic nutritionist. First and foremost, you will need to complete at least a bachelor’s degree. You should enroll in a program that has been approved by the Accreditation Council for Education in Nutrition and Dietetics. Aspiring holistic nutritionists will usually enroll in a program that make them eligible to become a Registered Dietitian Nutritionist (RDN). Once you have completed your bachelor’s degree, you will need to participate in a nutritionist internship. Many times, this can be done as a part of your degree in either an Accredited Dietetic Internship Program or an Accredited Coordinated Program. You will need at least 1,200 hours of supervised work experience. Make sure to check the specific experience requirements in the state where you are planning on practicing. Finally, after completing your degree and experience requirements, you must pass the RDN certification exam provided by the Commission on Dietetic Registration (CDR). A passing grade in the CDR will make you eligible to work as a holistic nutritionist in most states, although you may have to pass an additional state level exam. An important part of entering any career is learning about your job opportunities and potential salary. Fortunately, the Bureau of Labor Statistics (BLS) collects and provides career information for dietitians and nutritionists. According to the most recent numbers collected by the BLS, dietitian and nutritionist positions will increase by 16% between the years 2014 and 2024. This will result in 11,000 new positions. The average salary for a nutritionist should be $57,910 per year or $27.84. However, your specific salary will vary depending on the state in which you work, your level of education and your career experience.